Bringing life to an old love. This commission required a complete overhaul of a very much-loved two-bedroom residence. Our Client’s requirements was to renovate and extend their old home into one that embraces contemporary living and entertaining outdoors. 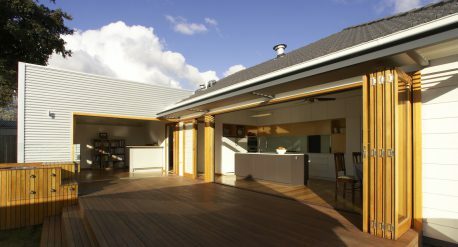 This renovation was to include improved integration of the house with the rear garden and northern orientation. Other items of the brief included a new multi-purpose room, plus the renovation all existing kitchen, bathroom and laundry areas. The resulting scheme simply turns the home around to face the garden at the rear of the site, and embrace solar opportunities of northern exposure. 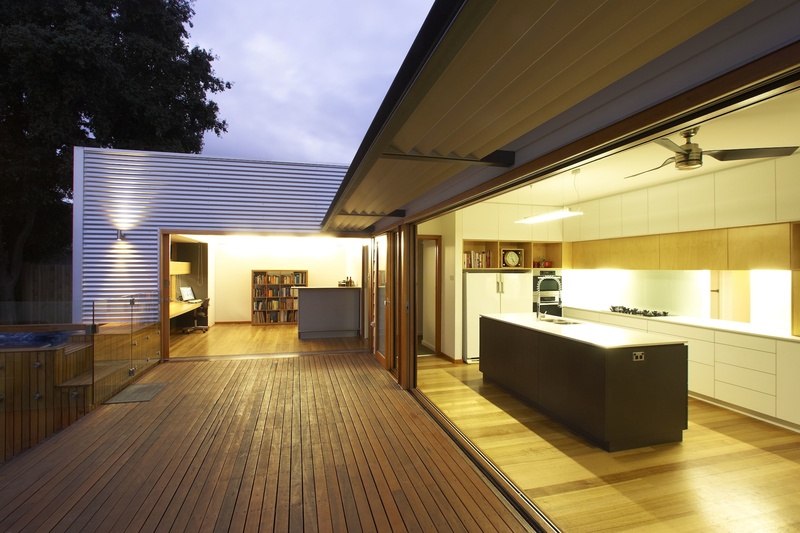 Renovate the existing dining and kitchen to re-orient to the northern garden exposure. This included significant renovations to the existing northern wall to accommodate larger openings for improved solar ingress, plus providing direct access to the outdoor areas. Construct a new deck to accommodate the outdoor living zone. Construct a new multi-purpose room. This room is located to the east of the deck, and to provide the study area of the room with a contemplative view of the more secluded area of the garden. 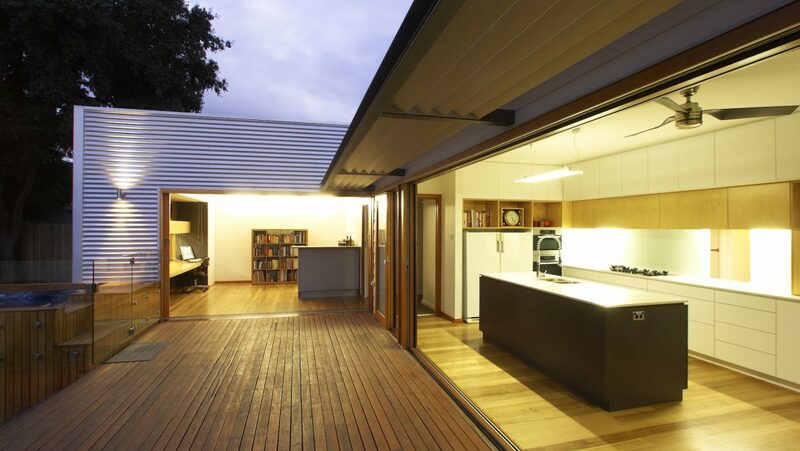 This room was designed to extend the area of the deck into the room (and vice versa) to effectively lengthen the length of the deck for large outdoor gatherings. Renovate the existing kitchen to conceptually enhance this space as the hub of the home, whilst enabling views from the kitchen to surrounding areas. Revise the entrance of the home to improve natural light ingress to south facing areas of the home, as well as to enable cross ventilation opportunities from the southern windows, across to the northern areas. 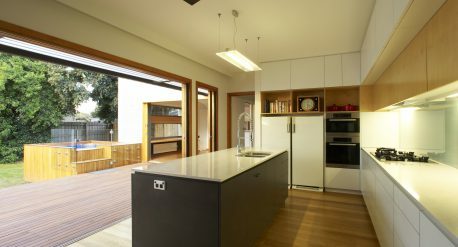 These renovations include a new sliding opaque glass panel between the kitchen and hallway to ‘borrow’ light from the northern areas, as well as enabling control of ventilation from north to south of the home (and vice-versa). 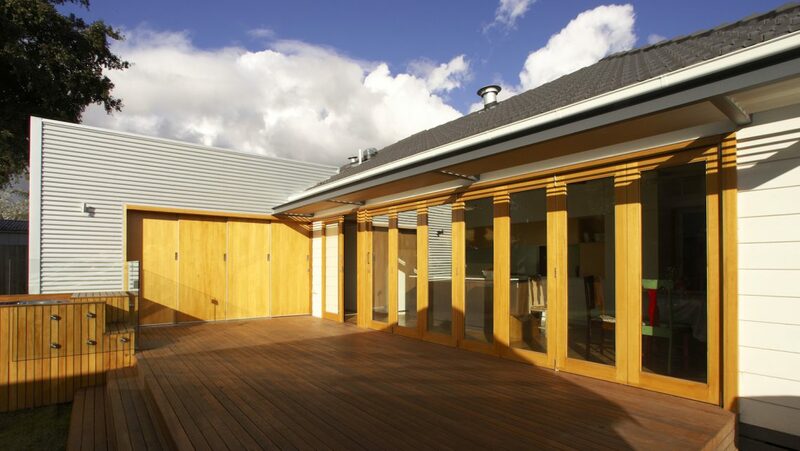 Renovate and upgrade the remainder of the home for contemporary use, functionality, and higher thermal performance. A significant portion the budget was required for rectification works and improving thermal performance of the existing home. The extent of new construction was kept to a minimum. Overall, the design focus was to provide thoughtful, manicured and materially rich spaces yielding optimal use and enjoyment for our Client. Retain and renovate the existing building fabric as much as possible. Orientation of daytime areas to face north where possible. 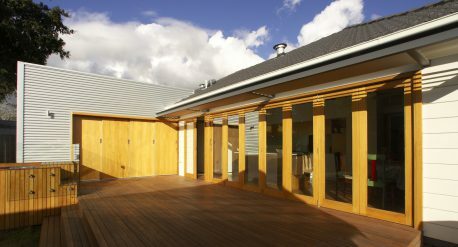 Sun shading to north facing windows and doors to control solar access to internal areas. Minimise east and west facing windows to reduce summer heat loading. Windows to the south side of home to enable cooling cross breezes throughout. 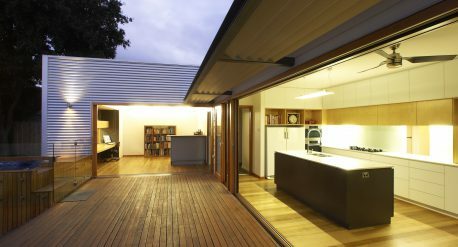 Small extension to the house to accommodate flexible options for the use of space, including entertaining, study, and sleeping options.